On September 16, 2013*, eight well-known CEO’s will be working the Ferreira Café ovens for the Gala des chefs d’entreprises, a benefit dinner for the CHU Sainte-Justine Foundation. These head honchos will be swapping suit and tie for a chef’s hat to create a meal fit for the finest restaurants. They will be preparing a menu specially chosen for Ferreira Café guests, assisted by Ferreira Café executive chef Marino Tavares, that’s guaranteed to be a memorable culinary experience! It’s an evening of giving where all proceeds will be donated to the CHU Sainte-Justine Foundation. This remarkable annual event helps give many children a glimpse of a better future! It’s with great pride and dedication that Carlos Ferreira has once again organized this prestigious event that has proven to be a big hit year after year. “I’m happy to be able to contribute to causes like this that are so dear to my heart. I think that every child has the right to a happy childhood and surroundings that enable them to thrive,” he explained. 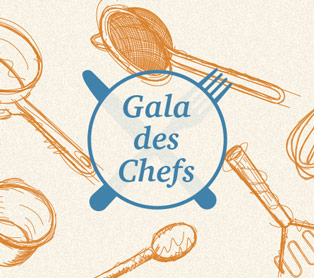 For more information, call Johanne Demers at 514.277.9503 or email her at johanne.demers@galadeschefs.ca.